ZTE Corporation (0763.HK / 000063.SZ), a major international provider of telecommunications, enterprise and consumer technology solutions for the Mobile Internet, today announced to commercially launch 5G smartphones in the first half of 2019. To date, ZTE’s 5G prototype smartphone is the world’s first 5G smartphone supporting both sub-6G and mmW. Its peak downlink rate can reach 2Gbps and 5Gbps at sub-6G and mmW respectively. On December 25th, 2018, ZTE’s 5G prototype smartphone accomplished the world’s first NSA mode end-to-end connection. On January 14th, 2019, ZTE and Guangdong Branch of China Unicom made the world’s first 5G call in the large-scale test field in Shenzhen with ZTE’s 5G prototype smartphone. 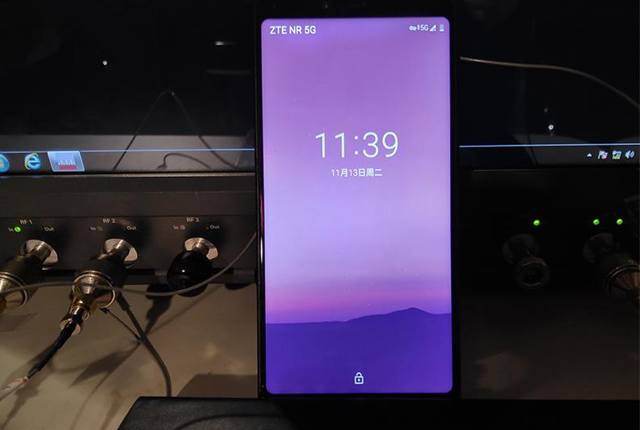 In November 2018, ZTE completed a 5G call, Internet and WeChat connection with ZTE’s 5G prototype smartphone via a simulation system for the first time. In addition to the 5G prototype smartphone, ZTE’s indoor CPE also demonstrated its strong capabilities in end-to-end 5G solutions. ZTE’s indoor CPE supports the latest Wi-Fi access technology (802.11az), which ensures the full coverage in a room, with 100 Wi-Fi terminals connected simultaneously and a 10G Ethernet network port whose peak downlink rates reach around 2Gbps. ZTE’s 5G prototype smartphone was debuted at IFA 2018, where ZTE unveiled its 5G device solutions, including 5G smartphone, 5G tablet, 5G indoor CPE, 5G outdoor CPE, 5G mobile Wi-Fi router and 5G Ethernet box. ZTE Mobile Devices has mastered the latest technologies in 5G devices. As one of the few vendors with 5G end-to-end solutions, ZTE is actively cooperating with industry partners in the ecosystem to undertake 5G research and development. ZTE will offer a series of 5G mobile devices to meet carriers’ and consumers’ requirements of multiple intelligent 5G services and scenarios in the future.